Starring: Mickey Rourke, Joseph Gordon-Levitt, Thomas Jane, Diane Lane, Rosario Dawson, Lois Smith, Don McManus, Hal Holbrook. Novelist Elmore Leonard’s writing is always sharp with snappy dialogue and well drawn characters. His stories are so descriptive that he’s practically already written the script, making his books easy to adapt to the screen. This was one that had all the ingredients for being another successful transfer from page to screen, but for the fact that it’s mediocre and lifeless. 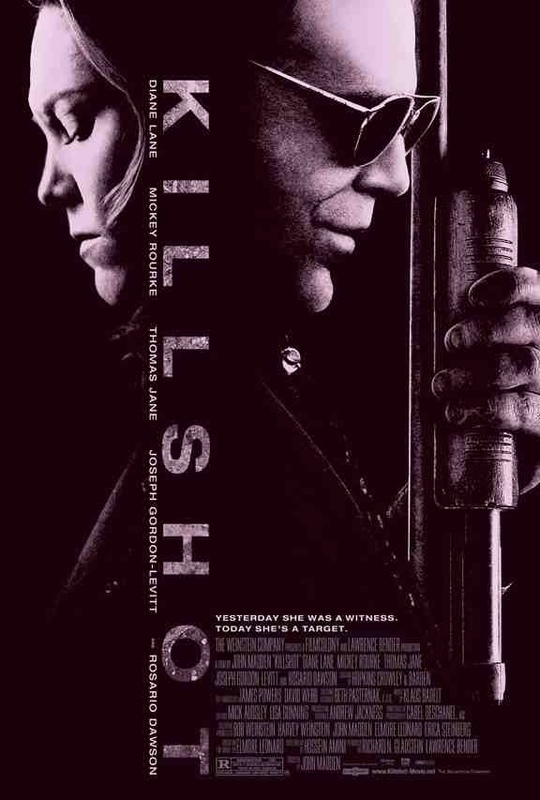 Wayne Colson (Thomas Jane) and his estranged wife Carmen (Diane Lane) are placed in the Federal Witness Protection program after witnessing an extortion scheme go wrong. 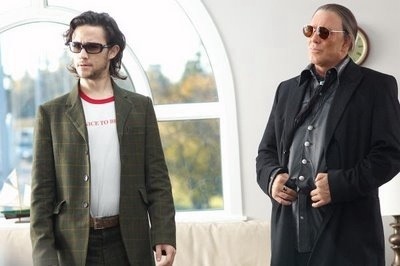 Under the protection of the F.B.I isnt enough though, when experienced hit-man Armand “Blackbird” Degas (Mickey Rourke) and psychopathic young upstart killer Richie Nix (Joseph Gordon-Levitt) are determined to track them down. Notable successful adaptations of Leonard’s novels have been Steven Soderbergh’s “Out of Sight”, Barry Sonnenfeld’s “Get Shorty” and Quentin Tarantino’s “Jackie Brown” but this actually achieves something that none of them managed to do and something thats not easy to do either… making Elmore Leonard’s writing seem dull. This is devoid of any excitement at all. They have taken any form of suspense out and made a slow, lethargic excuse for a thriller. Rourke (as usual) is great in his brooding role and Gordon-Levitt adds some edge to the film as his pyschotic sidekick – roles that were originally intended for Robert DeNiro and Quentin Tarantino – but “Shakespeare in Love” director John Madden gets it all wrong. His treatment is flat, but I’m assuming that the fact the screenplay went through uncredited rewrites and the film itself was held back from release due to extensive cuts (Johnny Knoxville playing a crazy sheriff being a major one) that the whole troubled production has not been kind to its director. It all shows in the end result. If it wasn’t for Rourke and Gordon-Levitt, this would be a complete waste of time. A wasted opportunity and an example of how a good story can be muddled in the wrong hands. This entry was posted on February 2, 2012 at 11:14 am and is filed under Crime, Drama, thriller with tags 2008. You can follow any responses to this entry through the RSS 2.0 feed. You can leave a response, or trackback from your own site.